Archbishop Stanley Ntagali of the Church of Uganda. (PHOTO: Albin Hillert/WCC). Christian leaders in Uganda have strongly criticised the State minister for Tourism, Mr Godfrey Kiwanda who suggested showcasing curvy women in order to attract more visitors to the country. Speaking at the pageant launch in the capital Kampala on Tuesday, Kiwanda said it would be “an exceptional event that will see young ladies showcase their beautiful curves”. 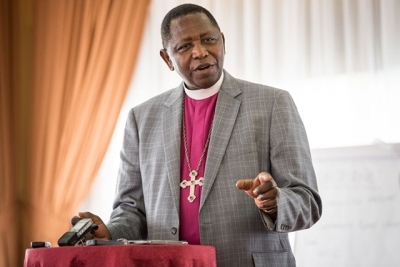 Christian leaders led by Archbishop Stanley Ntagali have called Kiwanda’s initiative “disgusting”, and said that embracing such a programme demonstrate “how low we have fallen as a country”. “As Archbishop, and on behalf of the entire Church of Uganda, we condemn the proposed Miss Curvy Uganda beauty pageant and urge the sponsors and partners to cancel it,” Ntagali said in a statement today. “It undermines the dignity of women and all that we as a church have worked for to advance girl-child education and opportunities for women to take their part in contributing fully to our national and family development,” he added.